Hi friends! I’m here with something fun to do with your kids, or for your kids, or for your husband, mom, sister, brother, neighbor, teacher, boyfriend, girlfriend… you get the idea. You can do this for anyone and it’s fun, cute, and easy! Start with small candy canes– which hopefully can still be found in the clearance Christmas aisle… but if not, you could always buy 280 of them HERE. Preheat your oven to 240-245. 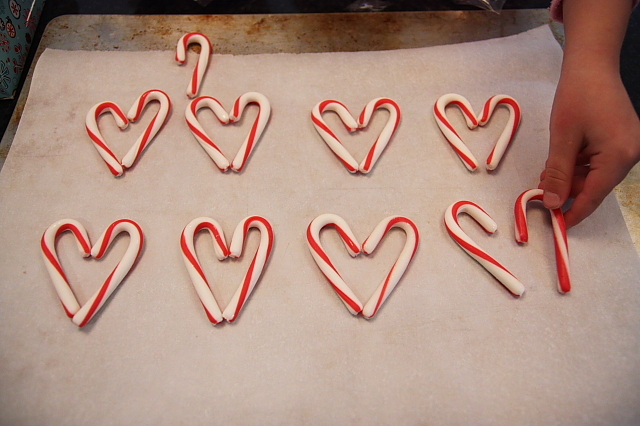 Place unwrapped candy canes in heart shapes on parchment lined cookie sheets. Bake for 2 to 5 minutes watching closely. 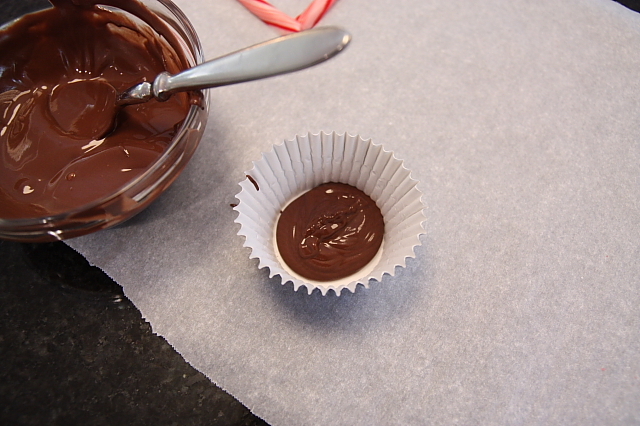 I tried this with large canes and the smaller ones… each type of candy will vary as to how long it needs to soften. Some will take longer others will melt into a puddle if you walk away. When they come out touch them and see if they are pliable. 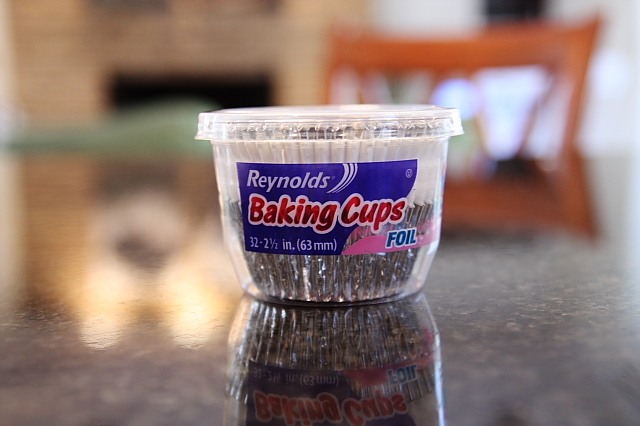 If they are, pinch the tops and bottoms together like this, if they aren’t return them to the oven for a couple minutes until they’re ready. 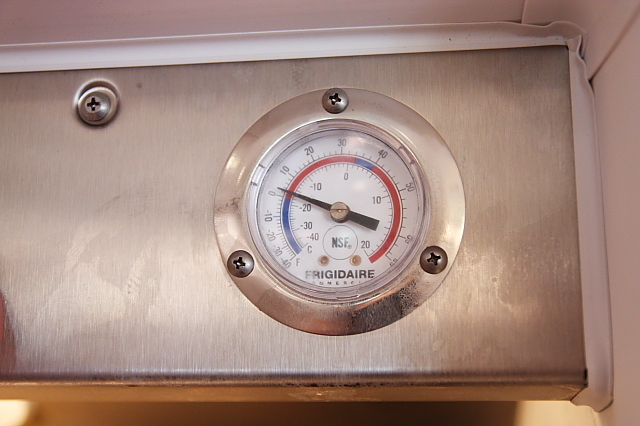 Stick to the oven… it’s a safer, steady, lower heat! 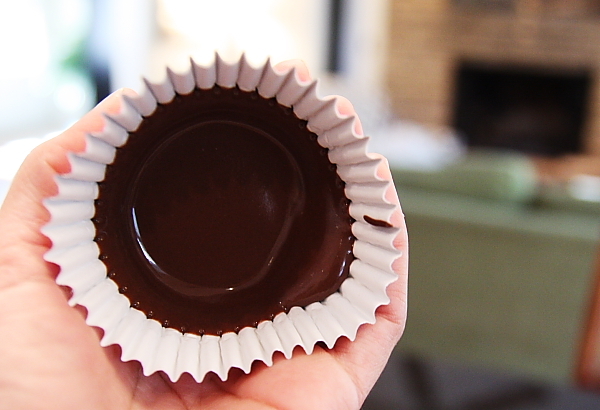 This is what I suggest you do with them… or if you have some time… serve with homemade peppermint ice cream! Mmmm! 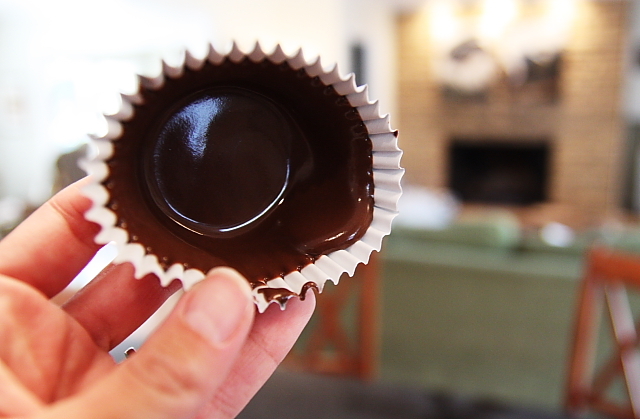 *I left the paper wrapper inside the foil wrapper and wish I had taken the melted chocolate all the way to the very edge of the wrapper for a taller chocolate shell! Inspired by and adapted from: Skip to My Lou! 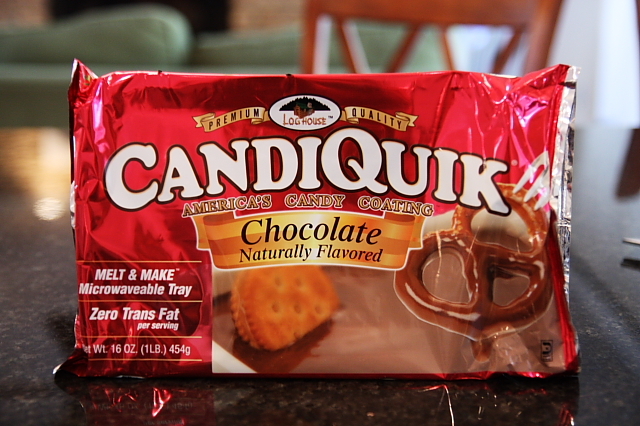 This is really bad for a person, like myself, who struggles with a chocolate addiction….yummy! Is that homemade ice cream that you served? this would be a very cute idea to have for a preschool valentine’s party…the wheels are already beginning to turn in my head! thanks, again, for such a great idea! Love, love, love this idea! 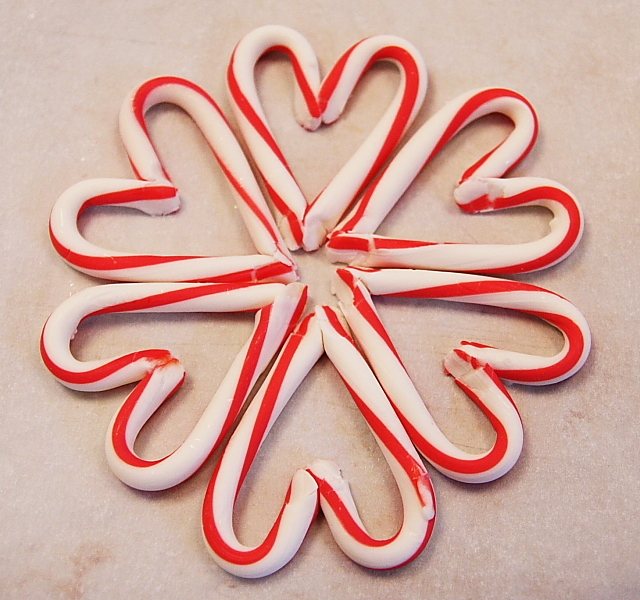 Fabulous use of left-over candy canes and just so darned pretty! Thanks so much, sweet Darby! Too cute!!! Love those chocolate liners…by the way, my family is now addicted to “frosted banana bars”…my kids will not eat the bananas just so I am forced to make a batch! Thanks for all the yummy recipes! Those are adorable! Definitely would be cute for a Valentine’s Day dessert. I love that first photo too, very pretty. yum! Two of my favorites…..chocolate and peppermint! Such a cute idea! And, with Valentines day around the corner … I can think of a million different uses! Thanks for posting. Love your blog! WOW! You are my new best friend and I don’t even know you! LOL! Thanks for the continued inspiration! All I can say is “Yummy”! darn…gotta bring out the elastic pants again! will be trying, filling and eating tomorrow! Super cute!!!! The pics that you took are so beautiful! Those are adorable, Darby! 🙂 I could see us making this into a 3 day thing – 1 day to make the cups, one day to make the hearts, and a third day to put it all together and **enjoy**. Very festive. adorable. 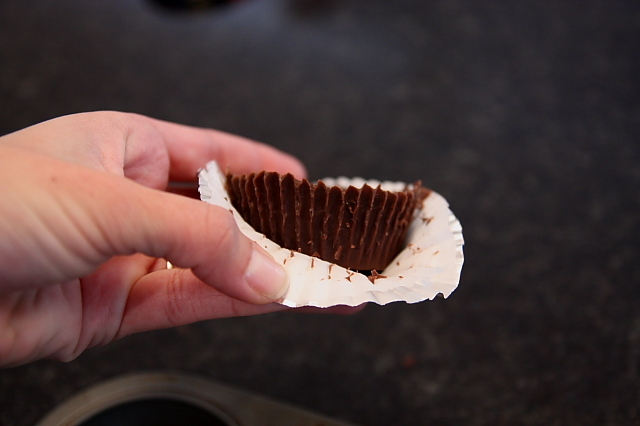 My head is filling with ideas for other uses for the chocolate cups. So fun. in another note, I made your rice pack the other day and am loving it. I added cinnamon and nutmeg to mine and it smells great every time I heat it up. Thanks for the idea! This is a great idea! I have two boxes of candy canes left over from Christmas, I was just about to toss the other day! Can’t wait to try it. Very cool idea! 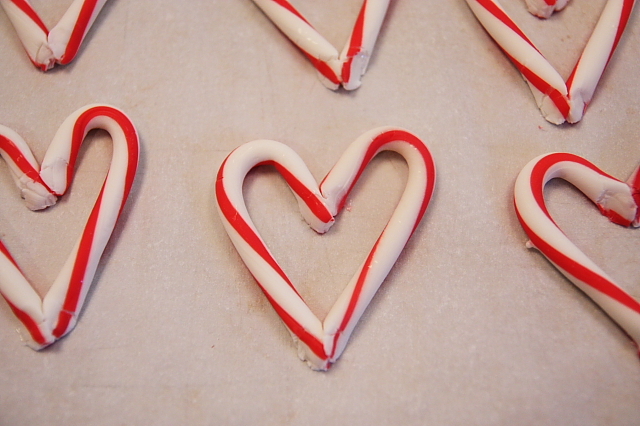 Will definitely try the candy cane hearts! This is not an appropriate post for someone trying to take off the baby weight! These are darling! I’ve got a Valentine’s idea on my blog too. Check it out. This is so cute! I hope you’ll have a few minutes to post the ice cream recipe, too! Oh! 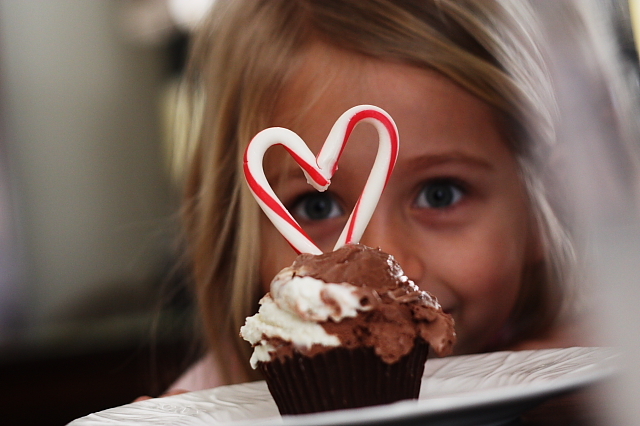 I suddenly can’t wait for the weekend; as if the weekend wasn’t full of enough goodness on its own, it’s going to have ice cream in chocolate “cupcake” bowls and cute candy cane hearts on top! Be still my heart! My kids are going to LOVE doing this with me! I am definitely making these. What a cute idea! I want to be your next door neighbor!!! ~ to love your kids and watch you do amazing things! Thanks, as always, for sharing! I absolutely love those. Everything about them. First of all, chocolate. Hello, my bootie loves chocolate. And, second red and white and peppermint. Divine. CUTE! 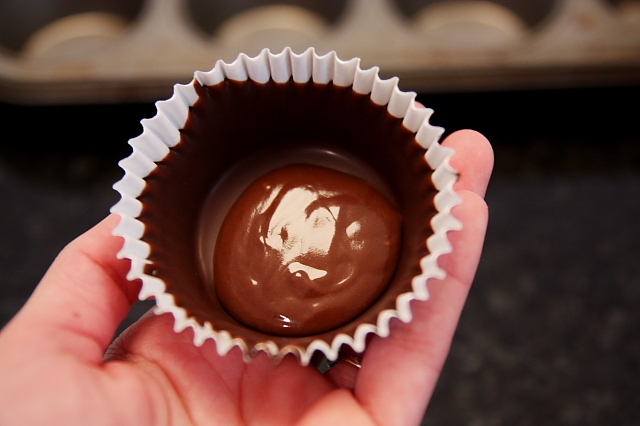 I love the chocolate shell! I love this! 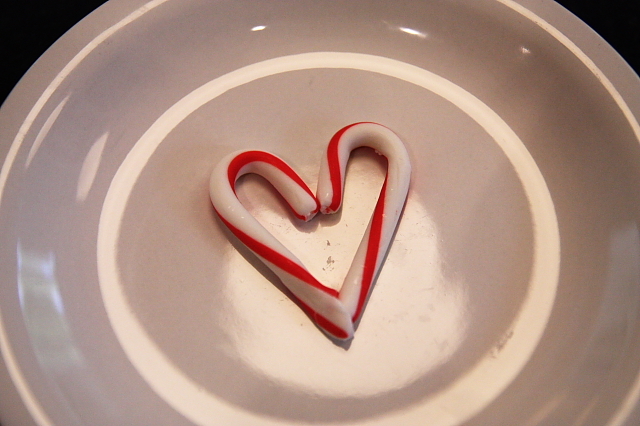 What a cute/fun/simple idea for a festive treat…and we all know Peppermint is my…well…bliss!! I LOVELOVELOVE the candy can hearts! 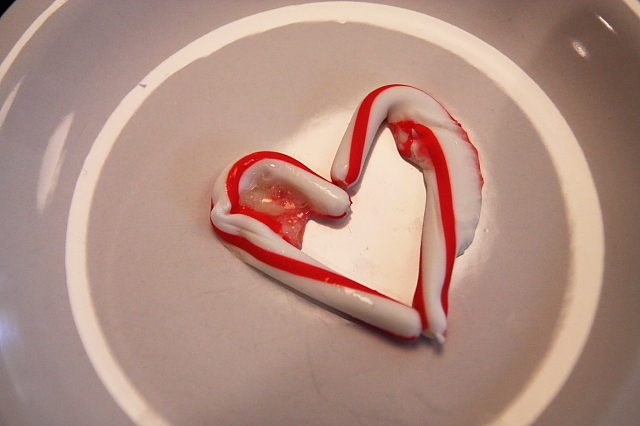 I wish I had known this little trick at Christmas time for my candy cane themed dining room – I can’t wait for next year! those are adorable darby!! thanks for sharing! great idea! will try to make these for my boys! Most adorable idea! 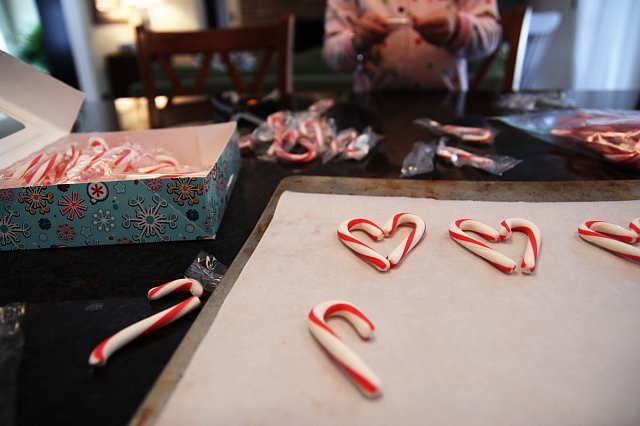 …and I have had the biggest sweet tooth since Christmas, these are a sweet way to use leftover canes! These look so yummy! Definitely plan on making them. By the way loved seeing your name today in the upcoming Southern Living and your sister’s work was beautiful!!! saw this banner and thought of you! maybe tackle it for the next birthday? i’m sure you could do it just as cute if not cuter! 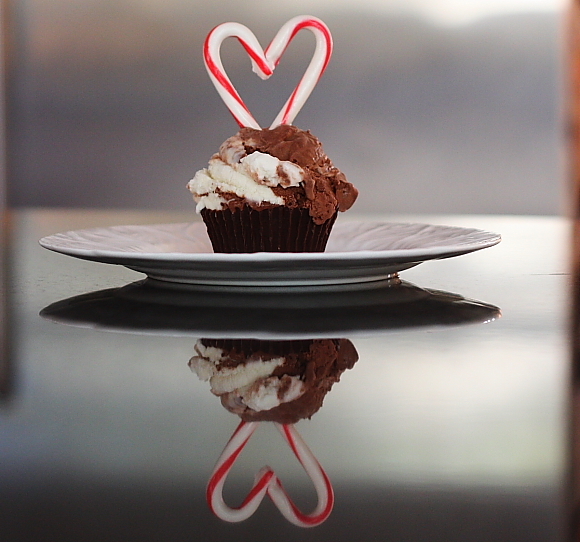 I am eager to surprise my Bible Study group with chocolate cupcakes and these peppermint hearts. The ladies will love it. did you make that ice cream!?? yummm. love and miss you!!! I would just like to inform you that thanks to Jeane Caroll Brookshire… every Chi-O at Mississippi State is completely fallen in love with you and your sister’s blogs… It’s the first thing I do when i open my computer! haha yall are so great! Just noticed your bathroom on Houzz under Rhymes with Orange! Yum this treat looks delicious. Let me know if you can help me out. The pictures looked SO good. 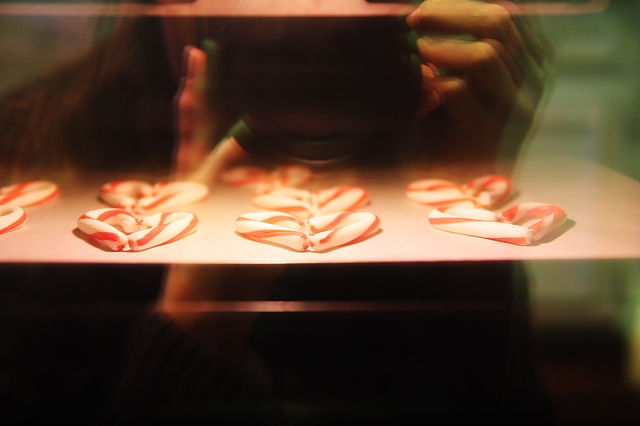 I love to bake and this looks like a fun thing to do. Very cute. I LUV all of your projects!!! Oh my…I’ve got to keep this in mind! February is a huge month in our house. We have 5 family birthdays in 5 days, so this will be a fantastic way to add a bit of variety to the mountains of cakes and goodies that come into the house in a few weeks! Thank you for sharing! 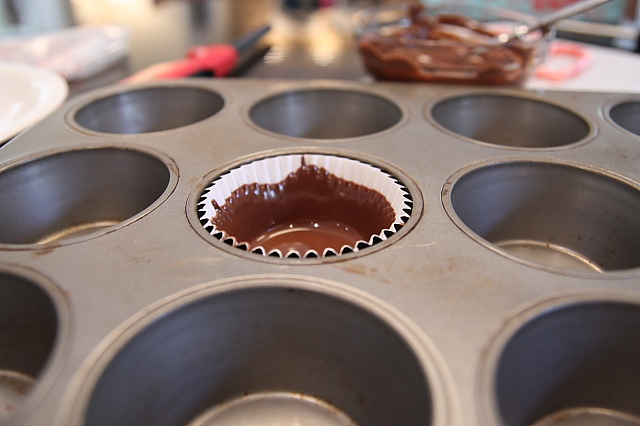 The best part of this post is the picture showing your less-than-perfect cookie sheets! I thought I was the only one that didn’t have shiny, brand-new looking ones. I must have these! I must have these…now! Adorable, Darby. I love these. Your blog is inspiring. I’m a blogging newbie who is addicted to your site. The cost of a video game can differ broadly, particularly if a game isn’t brand new. doctors and physical therapists throughout the world?